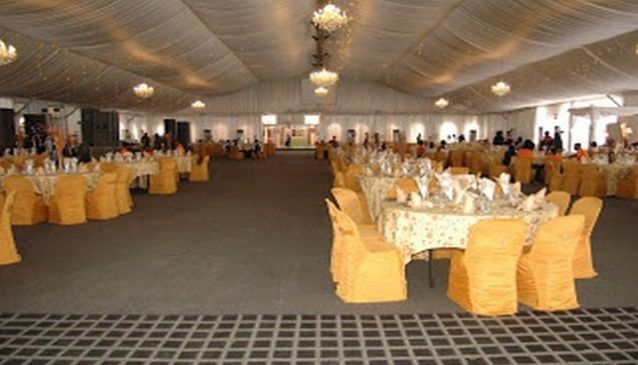 The Grandeur Event Center provides an excellent environment for all kinds of events, ranging from AGMs, weddings, birthday parties, and the likes, Located in the city capital Ikeja and seating on over 1350sqm of space, the hall seats about 1000 guest in a banquet setting and about 2500 in a theater arrangement. The Grandeur Events center is a Marquee tent with Glass and fabric architecture. The open floor design makes it suitable for any kind of event, the faclilties on ground and the professional staff well trained and versed in event planning makes the Grandeur Event center stand out. Enjoy your event at The Grandeur Event Center, also please share your experience and pictures with using the hashtag #PromoteNigeria.